Microsoft has announced that Office 365 subscribers will now get unlimited storage on OneDrive at no additional cost. The new features is starting to roll out for Office 365 Home, Personal, and University customers, and will continue over the next few months. This means you don't have to worry about the storage space anymore, you can upload all your documents, presentations and what not to Microsoft's cloud storage service. 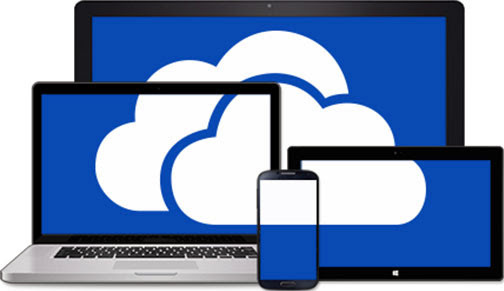 OneDrive can be used to store almost all file types, and with unlimited storage, you can rest assured that all your files are backed up, and ready for download on all the devices in your possession. Office 365 offers various plans for users to make use of. Office 365 Home costs $7.99 a month or $79.99 annually, and allows users to install the Office productivity suite on up to five PCs or Macs, and five tablets. If that's a little more for you considering you're the only user, you can opt for Office 365 Personal plan which costs $6.99 per month or $69.99 a year, giving users the ability to install it on one tablet (iPad or any Windows-powered ones), and one PC. As for Office 365 for Business, you have a variety of options to choose from depending on the size of your workforce, it starts at $5 a user per month, and goes as high as $12.50. You can read more about the enterprise pricing here. OneDrive for Business customers, the unlimited storage space will be in the roadmap in the next few months, with the first update rolling out in 2015. Microsoft's Chris Jones explained, "For OneDrive for Business customers, unlimited storage will be listed on the Office 365 roadmap in the coming days and we will begin updating the First Release customers in 2015, aligned with our promise to provide ample notification for significant service changes."